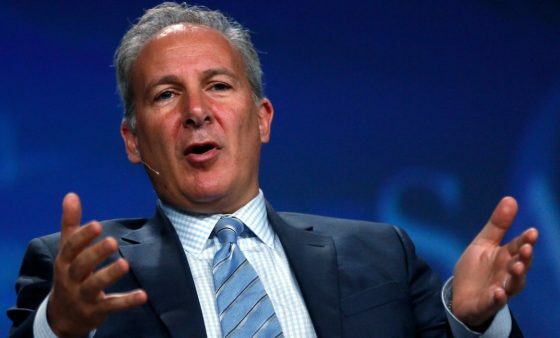 Just like the financial crisis of 2008 which investor Peter Schiff accurately predicted, there are warning signs again that are being ignored. “We are seeing a lot of warning signs people should be worried about, but again they’re dismissing them, much the way they did 10 years ago,” Shiff said. Schiff is known for his “doom and gloom” market predictions, yet he’s been spot on in the past. And our current debt-based system is unsustainable to the point that asevere global economic crisis is imminent – we just don’t know when the global bubble will burst. Once again, Schiff is trying to warn people, because the signs are there, but who’s listening? A big problem that could compound the next financial crisis is one Schiff continues to point out: Americans are flat broke. Wages have been stagnant especially in the face of inflation. Rising interest rates will also harm those already living paycheck to paycheck. There are a lot of people buying stuff on credit. In fact, the entire economy is built on working-class debt and a system which transfers wealth to the elites from the workers.